If you're planning on starting your own blog, one of the first things you'll have to do is decide what blogging software application you want to use. Most of them are designed to separate the content from the design, making them user-friendly even for novices with little or no experience in website development or programming. This allows bloggers to add or adapt new themes, templates and designs without having to re-format the actual blog posts themselves. Although blogging software is largely designed for use with blogs, where posts are added on a regular basis and typically displayed in a reverse chronological order, many of these content management systems can also be used to power a variety of other types of websites. Some blogging platforms are available for free, whereas others are paid. Some have both paid and free versions. Blogger, WordPress, TypePad, Movable Type and Squarespace are five of the most popular blogging applications. Beginners who are interested in trying blogging often choose to set up a free Blogger account to get started. Provided by Google, Blogger is designed to be very easy to use with a minimal level of advanced features, functions or customization. The blogs themselves are hosted by Google for free, meaning that you can have a completely free blog if you are willing to use a Blogger sub-domain. It is also possible to use your own custom domain name with Blogger, though a persistent Blogger toolbar will continue to show at the top of your site. This toolbar has a "search" feature, integrated sharing with Google+, and a link to view the "next blog," which sends the visitor to another blog on the Blogger network. The two most appealing features of Blogger are that it is free to use and that it is easy to use. Just about anyone can quickly and easily get started with a new blog. However, there are limited options for higher level customization, making Blogger less suitable for businesses or power users. Similarly, the persistent toolbar at the top of the page may not be appropriate for professional purposes. There are two versions of WordPress available. The first can be found through WordPress.org and it is designed to be a self-hosted solution. What this means is that you will download and install the free WordPress software onto your own web server. This is a very popular option among casual and professional bloggers alike, as the WordPress platform is very versatile. It can be used for blogging, but through different themes, templates and plug-ins, it can also be used to power a static website, an e-commerce store, an online forum, and much more. The huge range of free and paid plug-ins expand the features and functionality of WordPress tremendously. 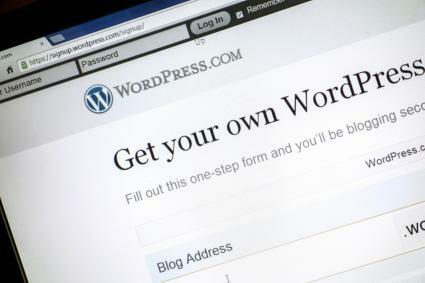 In order to use WordPress.org, you will need to get both your own domain and your own web hosting. The second version of WordPress can be found via WordPress.com. This is also a free version of WordPress, but it operates in a similar manner to Blogger. What this means is that you can get free web hosting from WordPress.com and your blog can be located on a WordPress.com subdomain for free. WordPress.com has fewer options and features than the WordPress.org variant, but it can also be used on your own custom domain if you prefer. This is necessary if you plan to monetize your blog, as WordPress.com does not allow any advertising on the blogs that it hosts. TypePad is a fee-based blogging service. The main dashboard is accessible from a computer browser, but you can also publish and manage posts via a mobile device or via e-mail. A number of features are built right into the administration system for TypePad. These include easy integration with Google Analytics, a variety of themes that can be personalized with custom CSS, and the ability to monetize the blog or website in any fashion you deem appropriate. TypePad also includes web hosting as part of its package with unlimited storage. Rates start at less than $10 per month and vary based on your needs. A 14-day free trial is available, giving you the opportunity to try TypePad on a risk-free basis before committing to a monthly plan. All plans include web hosting, but you will need to register your own domain elsewhere. Developed by a company called Six Apart, Movable Type is a blog publishing system that is available under multiple licenses. The main blogger license of Movable Type 5 Pro is available as a free download that can then be installed on your own web server using your own domain, not unlike WordPress.org. The more advanced business license, which starts at just under $400, is better suited to small and medium businesses that require multiple users and more advanced features. One of the more notable features of Movable Type is the ability to build and maintain multiple blogs with a single installation. This is very useful for media companies that manage multiple websites, since they can all be administered from the same main interface. The content management system offers revision history, easy theme installation, community forums, and member profiles. Movable Type supports both static and dynamic page generation. You will need to provide your own web hosting and domain registration when using Movable Type. Offered as a comprehensive package for bloggers and website owners, Squarespace provides everything that you would need to get started with a new website, including the web hosting and a custom domain. It can be used for a variety of different types of sites and there is a blogging engine built into the Squarespace system. Many users choose Squarespace for its elegant designs, as well as its ease of use for customization, plus its all-inclusive nature. The standard $8/month plan limits you to 2GB of storage and 20 pages, galleries and blogs, while the $16/month unlimited plan includes unlimited storage, bandwidth, pages, galleries, blogs and contributors, as well as an advanced form builder, Mailchimp support, and the ability to publish to Facebook Pages. All Squarespace accounts also include a free custom domain when paying on an annual or bi-annual basis. Search engine optimization (SEO) can be very important for bloggers, because they want their content to be discovered and read. Many people look for these useful articles via search engines like Bing and Google, so it's important the blogging engine is optimized for this purpose. Each of the above blogging software packages have some SEO elements to them. WordPress.org is widely regarded as one of the best, partly because of how the content is coded and stored, but also because of the automatic metadata that is attached to the content, as well as the variety of available SEO plugins that can further improve the optimization. SearchMetrics Suite - This tool offers multiple levels of help for making your blog or website all it can be. It makes recommendations based on how your site compares to its competitors. SEOMoz - This very large set includes tools for comparing your back links to those of your competitors, SEO toolbars for Firefox and Chrome, a way to find the sites your competitors are getting valuable links from, a tool to find two-hundred potential links based on a keyword, historical PageRank scores, and more. WordStream - WordStream offers a variety of tools to aid in search engine marketing, with applications designed to work together to help you get the most out of your blog, as they promise to save time and increase productivity. There are many different types of blogging software, each designed for different purposes. If you are starting a blog to promote your business, it's probably going to be in your best interest to purchase a domain name and host your own blog using a system like WordPress.org, TypePad or Squarespace. However, if you just want a chance to write about things that interest you with little to no ambitions to monetize, it may be in your best interest to get started with a simple and no-cost site from Blogger or WordPress.com. While the free version Movable Type can be suitable for casual bloggers, the business license is particularly well suited for small and medium-sized businesses rather than individuals.